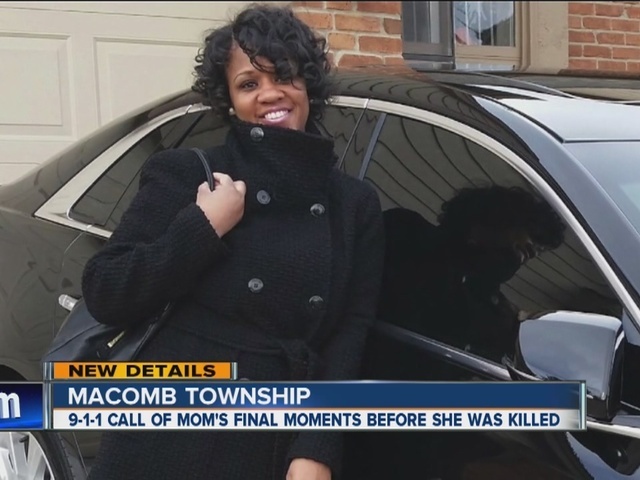 A Macomb Township mom murdered - shot while on the phone with the 911 operator. 7 Action News has obtained her last call for help. Deputies say this was a case of domestic violence, the husband and wife were arguing when she called for help. They say, that’s when he shot her, before turning the gun on himself. “You need to go,” says the voice calling for help, Ebony Byrom. She wanted him out of the house, and\ he refused to leave. It was 1:00 in the morning. The couple was at home with her 16-year-old son. Police say he was awake, playing video games when he heard pops. A friend he was playing with online called 911 after hearing what happened. “We just had a dispute. He wouldn't get all his stuff and leave in the middle of the night. He can do this another time. He can do this tomorrow. But right now it's like 1 o'clock in the morning,” is what the 911 operator was told. The husband, who neighbors identified as Hal Byrom, didn’t leave. Instead, deputies say, he pulled out a gun and shot his wife, before turning the gun on himself. The Sheriff says detectives are speaking to neighbors and family members to figure out why this occurred and how it occurred.